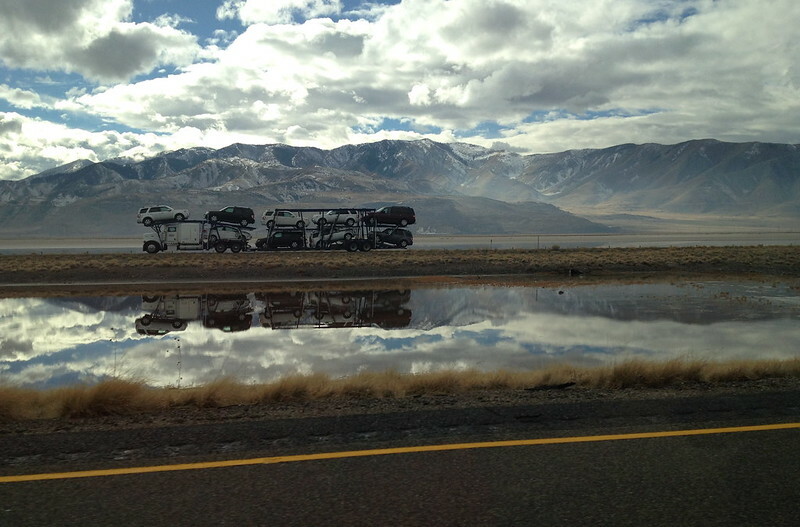 I recently flew into Salt Lake City, Utah and drove the breathtaking stretch of I-80 West to Wendover, NV. In a relatively short distance, I passed The Great Salt Lake and a collection of mountains that included Kessler Peak, Farnsworth Peak and Nelson Peak. Perhaps the most interesting part of the drive was Bonneville Flats State Park. 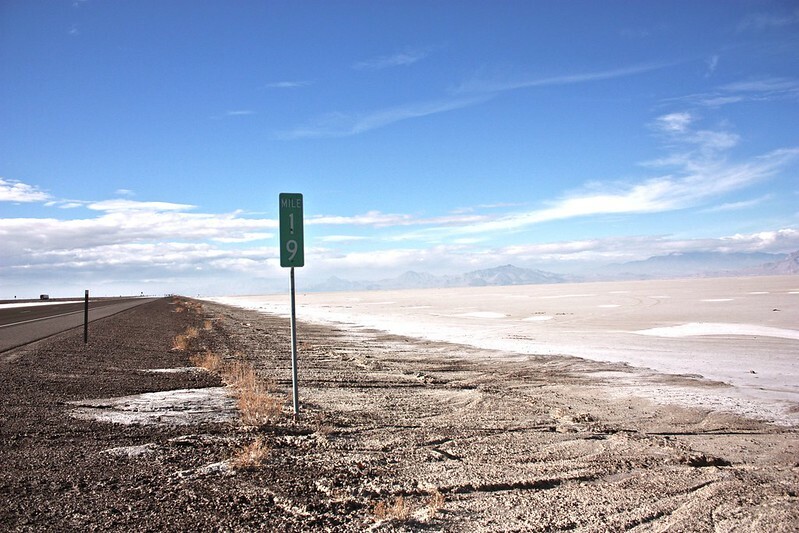 Expanding 30,000 acres, The Bonneville Salt Flats are home to Bonneville Flats Speedway, the setting for numerous land speed records. An inhospitable and desolate place, the brilliant white glare of the plains makes the entire area appear to be covered by a thick sheet of freshly fallen snow. A stunning sight in any season, I can hardly imagine visiting in the summer, the flat and barren land creating a mirage of waves in the distance. I found a fantastic Discovery Channel video that beautifully captures this exotic and unique place: Land Speed Records: The Bonneville Flats. This entry was posted in Exploring America. Bookmark the permalink.